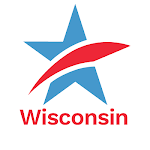 For three years, from 2012 through 2014, non-partisan redistricting reform was the "hottest' political reform issue in Wisconsin, with meetings and forums about the subject all over the state (CC/WI organized nearly 20 alone), support and frequent editorials from virtually every Wisconsin's daily newspaper (21) and thousands of calls and messages pouring into the Capitol to legislators demanding that they end partisan gerrymandering of state legislative and congressional districts. But Republican legislative leaders, chiefly Assembly Speaker Robin Vos (R-Rochester) and State Senate Majority Leader Scott Fitzgerald (R-Juneau), jealously guarded their command of redistricting because of the enormous political power they possess. Consequently, they allowed virtually no Republican legislators to publicly support non-partisan redistricting reform and they refused to allow the scheduling of even a public hearing on legislation that would establish a non-partisan process, such as the one that has worked so well in Iowa since 1980. 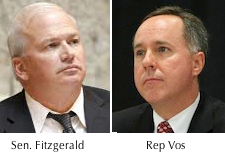 During 2015, Vos and Fitzgerald shifted their attention to expanding their power, such as destroying the non-partisan Wisconsin Government Accountability Board, transforming Wisconsin's campaign finance law into among the worst, least regulated and least transparent in the nation, and to exempting politicians from effective investigation and prosecution from political corruption. Consequently, good government reform groups such as CC/WI had to shift their emphasis and focus from educating the public about anti-gerrymandering and instead, deploy all of our energy and resources towards fighting those new battles and trying to mitigate the damage caused by the GOP offensive to turn Wisconsin into a one-party state that they could completely control, long into the future. But we have kept non-partisan redistricting reform a "live" issue and have continued to work with newspaper editorial boards to continue to try to elevate the issue, particularly when non-partisan redistricting reform legislation, based on Iowa's system, was introduced during 2015: Senate Bill 58 and Assembly Bill 328. Finally, our "badgering" showed at least some fruit when State Rep. Kathleen Bernier (R-Lake Halle), the Chair of the Assembly Committee on Campaigns and Elections, finally scheduled an "information only" public hearing in the Capitol earlier this month on non-partisan redistricting reform after a number of editorials citing CC/WI such as this one in the Wisconsin State Journal. CC/WI Director Jay Heck was one of the eight individuals that were asked to testify at the hearing. You can see/listen to the entire hearing on Wisconsin Eye here (Jay's testimony begins at 1:56). While the hearing will not advance actual legislation, because the Legislature has adjourned for the session, the precedent for having a "sanctioned" public hearing on the issue has finally been set after five years of not allowing even that. Meanwhile, on the legal front and also earlier this month, there was a very encouraging development in the battle against the extremely partisan, secretive, expensive (to taxpayers) and utterly undemocratic GOP gerrymander of Wisconsin's state legislative districts in 2011. Many legal experts give this case a very good chance of reaching the U.S. Supreme Court in the near future. Reformers are making progress on this issue. You can help us advance this issue too! Make sure that you ask all state legislative and congressional candidates about their position on non-partisan redistricting reform (specifically the "Iowa Model") during this long election season that will lead to November 8th – Election Day. 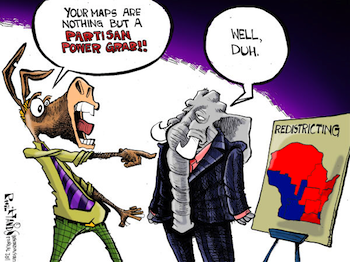 And please sign this petition, if you haven't already done so, that we will send to the Wisconsin Legislature after November 8th to demand action on non-partisan redistricting reform. If you have already signed the petition, please direct others to the site and urge them to sign it. Finally, CC/WI Director Jay Heck is helping to "kick off" this renewed push to end partisan gerrymandering and establish non-partisan redistricting reform in Wisconsin before 2021, by addressing the Wisconsin Council of Churches Board of Directors today in Sun Prairie. As is the case with almost every other political reform issue such as voting rights, campaign finance reform, transparency and ethical laws and governance – fair voting maps through the enactment into law of non-partisan redistricting reform is a deeply moral issue for a healthy and vibrant democracy. Please do your part to make it a reality! Breathing New Life into Non-Partisan Redistricting Reform/Ending Partisan GerrymanderingTweet this!